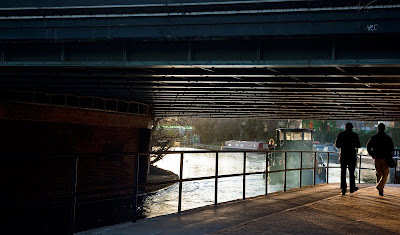 The late after noon sun capturing a canal boat passing under the bridge. Hi Mo, is this what used to be called 'Grand Union Canel? Great shot (including a tag). This is sooooo beautiful and full of atmosphere! The Regents Canal really is a little oasis trundling its' way through east London. Love the mist in the sunlight. Makes me think Spring cannot be too far away. If you are tired of walking always here in Perth, you can rent a car for you to enjoy the stroll around the city.